ID verification is an integral process in many business applications. It is also a routine process in law enforcement activities. For a very long time, verification of physical IDs has been done with visual inspection and human skills. However, it is now possible to verify IDs with the help of technology and speed up the entire process. Use of technology reduces possibility of errors and makes it more efficient. It results in faster processing of customers and speedy on-boarding experience, which eventually results in happy and satisfied customers. This article discusses about ID verification, different methods of ID verification, ID scanners machines and how they are securing business. ID verification or identity verification is the process of checking validity of a claim made about identity information. It can be better understood with the following example: If you are walking down the street and a police officer wants you to identify yourself, you can express this information orally (which will includes personal details like name, age, address, etc.). This is your claim for an identity you just expressed orally. If the police officer further asks to prove this information, you would probably show an ID issued by a government agency. The officer may verify the ID by inspecting it to be real or by verifying with the issuing authority, in any case, if details are found as claimed, the ID is deemed verified. Why ID verification is important? ID verification is an underrated yet important activity, which can be crucial in some scenarios. Errors in identity verification can let an intruder enter a high security facility or a terrorist cross international borders. We hear about cases of identity theft all the time. If done inaccurately, identity verification can let a cybercriminal access your bank account and transfer all the money to an undetectable overseas account. Organizations, which belong to regulated industry, have to perform ID verification it stay compliant to regulations set by the government. It may be your internet service provider, bank or your favourite nightclub that needs to know you before serving you. KYC or Know Your Customer is already an international requirement in many industry types. ID verification can be performed in the applications like access control, customer on-boarding, enrollment, registrations, etc. Despite being underrated, this activity is so crucial that errors in ID verification in some scenarios can be disastrous. There are also terms look similar to ID verification like identification and authentication, which may lead to confusion and are sometimes used incorrectly. In the following section, each of these terms is discussed in simple manner. As we discussed above, identity verification is the process of establishing confidence in a claimed identity. However, in case of identification, there is no claim and you have to look for the other resources to identify an entity that needs to be identified. For example, a latent print found at a crime scene carries no identity information and need to be identified to resolve the crime. Until forensic experts look up their database for pre-established identity information belonging to that print, it stays unidentified. The process of looking for identity of unknown prints would be called identification. If the identity information is found, the print gets identified. Identity verification is a 1:1 process in which a claimed identity is checked for its validity, while identification is a 1:N process, in which identity of an unknown entity is looked up in the records of pre-established identities. Authentication and ID verification are sometimes used interchangeably; however, they have a subtle difference. ID verification is performed on the identity information claimed, while authentication is a token provided to the entity when identity verification is positive (i.e. identity claim was found correct). ID verification done digitally is called digital identity verification. Digital mode helps speed up the process of identity verification as digital data can be processed faster with the help of IT systems. Digital ID verification can be performed for digital as well as physical services. For example: identity verification for accessing internet based banking service. Customers have to go through digital ID verification to access internet based banking services. It is also called biometric identity verification when done using user biometrics and the token granted to the entity (i.e. the user) is called biometrical authentication. Biometric authentication is increasingly getting popular as a form of digital identity verification for digital as well as physical services. There are technology firms that specialize in the field of ID verification and offer ID verification software and apps. Organizations use ID verification software for quick and easy on boarding experience for customers. ID verification software also safeguards against identity fraud and ensures compliances with KYC and AML, which is a common requirement in on boarding procedure in sectors like telecom, banking, finance, etc. There are also ID verification apps that urge people to leave their IDs home and turn their phones into a tool of ID verification. ID verification apps let your store information of your physical ID on your smartphone in secure encrypted format and use it to verify your identity online and in person. When you handover your ID for verification, you reveal way more identity information than required. For example, if a bar needs to verify your age, its staff can also view other details on your ID. Unlike physical IDs, ID verification apps enable you to share only required details. Businesses that require ID verification are looking at app based solution as a cost effective yet efficient solution for ID verification. For example, Night clubs and bars across the town of Bournemouth are using ID verification app which uses facial recognition to verify identity of individuals. Owing to the ubiquity of smartphones and the internet connectivity, mobile devices are increasingly becoming a preferred tool for identity verification among businesses and service providers. If implemented correctly, mobile ID verification can accurately verify users and save from a lot of troubles that result from errors in ID verification. Mobile devices offer unmatched technological prowess to leverage at the user end. They have camera, biometric ability, multiple sensors, high speed internet, and ability to run third party applications. That is more than enough hardware and computing ability to get user identity verified. Mobile ID verification is used by many service providers including banks, financial services, payment apps, etc. Mobile devices can also perform real time ID verification. Mid to high security applications like some high value banking, finance applications, etc. may require their users to perform real time ID verification. Selfie ID verification is one of the real-time ID verification approaches, which uses biometric data of facial features to for ID verification. Selfie ID verification is getting increasingly popular among service providers as well as users. Selfie ID verification is a coined term for ID verification with biometric facial data, which is also a form of digital ID verification (as well as biometric ID verification). Ubiquity of smartphones has led service providers to utilize their biometric ability to verify user identity before granting access to their services. Most of today’s smartphones are equipped with one or more cameras, which can be utilized to perform selfie ID verification. A user needs to capture his/her own photograph using the app published by the service provider to perform selfie ID verification. Since the process of ID verification if performed in real time, it is also a type of real-time ID verification. Buying certain products like alcohol, cannabis, tobacco, etc. and access to certain places like bars, pubs and nightclubs can be subject to age restrictions. In the United States, the government requires business owners, who deal in restricted products, to take customers through ID and age verification. It is done to protect underage population from the potential harm that age restricted products may present. Age verification is usually done by checking a valid ID issued by a government agency. Generally, the ID is expected to contain the following information: name of the person, photograph, physical description, date of birth, etc. IDs like driver’s licence, passport, etc. can serve the purpose. This sounds very straightforward but there is a problem: Desperate underage individual use fake or shared IDs to get in the bars, nightclubs, etc. and to buy alcohol or other age restricted products. To overcome problems associated with ID and age verification an ID scanner machine is used. 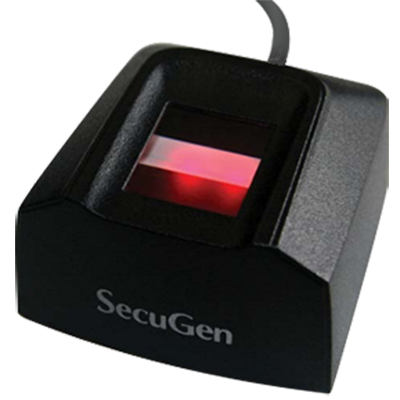 ID scanners can automatically perform ID verification and produce results. They offer many other advantages as discussed in the following section. As we discussed above, ID and age verification is a routine process at businesses like bars and nightclubs. Automation of this process becomes necessary when there are a lot of customers to process. Checking ID of each individual manually can be time consuming and lead to errors. Errors can let underage people enter in your venue, which becomes breach in compliance requirements. It makes your business vulnerable to government penalties. Staying complaint to regulations is very important and inability to do that can even result in cancellation of your bar or nightclub licence or licence to sell age restricted products. 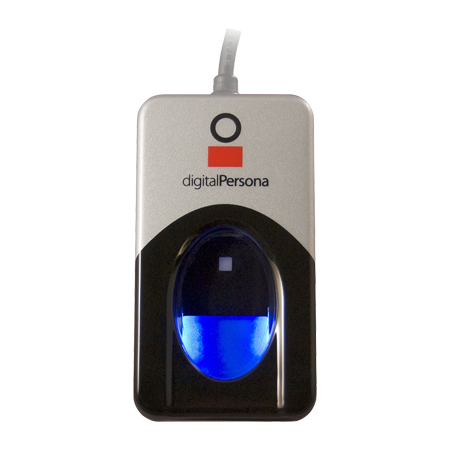 An ID verification scanner is a set of hardware and software that automates the process of ID verification. It can perform the ID verification instantly without human interventions and reports in any problems found with the ID. Features of ID verification scanners largely depend on the software that powers it. 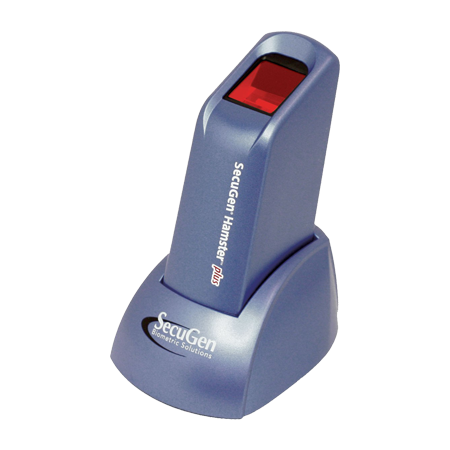 Vendors of ID scanners machines offer different packages which includes different features. Even for the same hardware, a package with more features will often cost you higher. ID scanner machines can include a camera, a magnetic strip scanner (for IDs with magnetic strip), barcode or QR code scanner and optical scanner. Camera is used to capture the picture of the customer. Modern ID and age verification scanner machines offer unparalleled convenience and security that cannot be achieved with manual efforts. 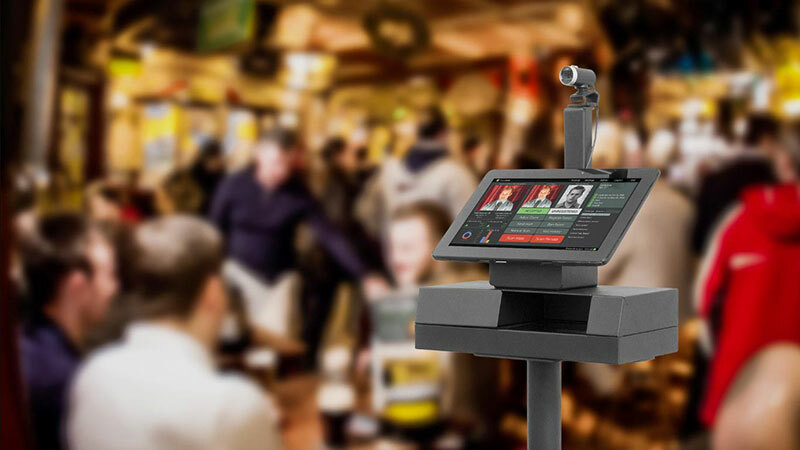 ID scanner machines automate the whole process of ID and age verification, giving businesses like bars and nightclubs a peace of mind. Presenting counterfeited and shared IDs is a common practice through which minors try to gain access to bars and nightclubs or to buy restricted products. Identity verification becomes a tough job in challenging circumstances of bars and nightclubs, specially when there are a lot of IDs to verify. Getting fake IDs is easier than ever as they are available online and illegal marketplaces will send you a customized real-looking fake ID at your doorstep. These counterfeited IDs are so good that even an expert will find it hard to distinguish fake from real. ID and age verification scanners can also work as a fake ID scanner which can look for find details human eyes will fail to notice. Fake ID scanners can scan an ID with the help of a barcode scanner, magnetic strip scanner or an optical scanner and underlying code can detect the signs of a counterfeited ID. ID sharing and ID passing is another common tactic used by underage people who to sneak in the bars and nightclubs. Adult individuals, who are eligible to get in a bar or nightclub can use one form of ID for their entry (e.g. a driving licence) and share other ID like passport with an underage person to help them get in. In ID passing, same ID which has been used by an adult is used by the underage person but small time apart. This ID is passed to the underage person by a third person, fire exit or other means. 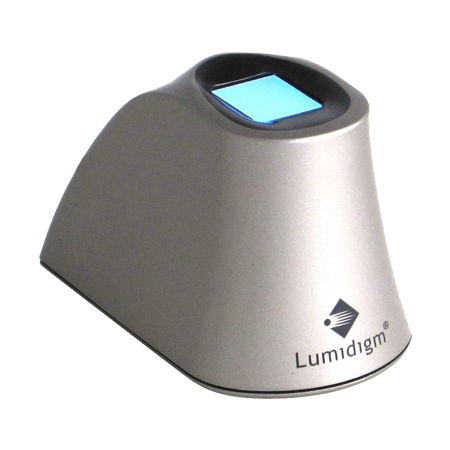 ID verification scanners come with the ability to detect shared IDs and double scans. If someone has already used one form of ID to get in the venue, ID verification scanner machine will instantly raise an alert as soon as his/her ID is rescanned. Most ID verification software and apps include banned list and can spot troublemakers as soon they get their ID verified. That is not all, if someone engages in fighting, drugs, theft, sexual assault or other bad behavior at your venue; the person can be put on the banned list. This way, ID and age verification scanners work as a security tool for your business and provide the first line of defence against troublemakers. 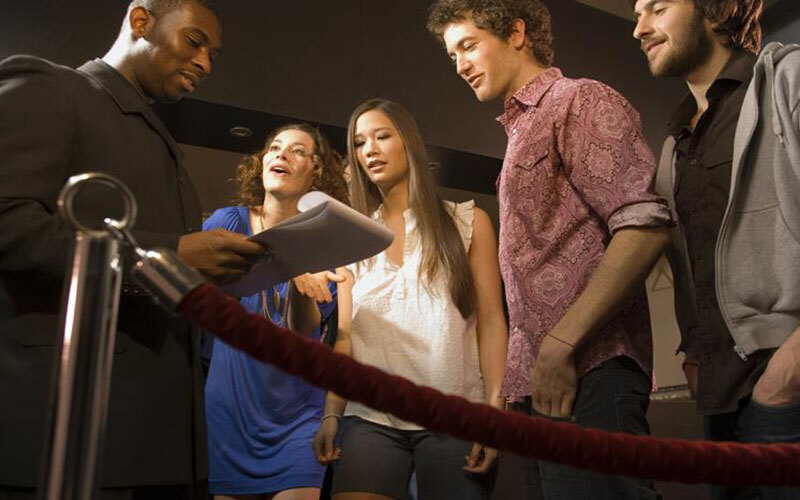 ID and age verification scanner machines can not only prevent underage people to enter your venue, but also help you spot troublemakers and deny their entry in your nightclub or bar. It is very important to keep troublemakers out as they can pose significant harm to your business and revenue. Sharing or faking IDs is a common practice among underage individuals to buy age restricted products like tobacco and alcohol or entering places like bars and nightclubs. ID scanner machines can not only perform ID and age verification but can also spot fake, passed or shared IDs and protect underage population. ID verification is an integral process in many businesses and use technology in an increasing trend. Most businesses that have to process a large number of IDs, have already switched to technological means like ID verification scanners, biometric ID verification, etc. ID verification, i.e. the process of ensuring that a claimed identity belongs to the individual who has claimed it, is an important activity. Some individuals may claim to be who they are not if this false claim of identity is possible with little manipulation and offers them benefits which were not possible to avail otherwise.